GATWICK, UK, 2018-Nov-09 — /Travel PR News/ — London Gatwick has today (08/11/2018) announced that it will offer more flights to the home of Father Christmas than any other UK airport this winter – with a total of 120 flights bound for Lapland in December. Six destinations in and around the Lapland region – Enontekiö, Ivalo, Kittilä, Kuusamo, Tromsø and the capital, Rovaniemi – can all be reached direct from Gatwick. In comparison, the UK airport with the second highest number of Lapland services in December is offering a third fewer flights than Gatwick. The airport’s record number of services comes in response to growing demand from British tourists to visit Lapland – the northernmost region of Finland, famed for its association with Father Christmas. Last December, the number of British visitors to Rovaniemi was up +13.9% on the previous year*. Gatwick has already seen a surge in passengers travelling to Lapland this year, even before the festive season has begun. In October, the number of passengers heading to Rovaniemi from Gatwick almost tripled year-on-year. The airport has also launched a number of new winter routes to provide passengers with more choice when picking their Christmas market destination. New flights to Aarhus and Warsaw with easyJet have already taken off, with new British Airways services to Cologne and Lyon set to follow in the coming weeks. Plus, this December Gatwick will offer more flights than ever before to the European cities with some of the most renowned Christmas markets in the world – with 315 flights going to Amsterdam, 306 to Geneva and 227 to Copenhagen. 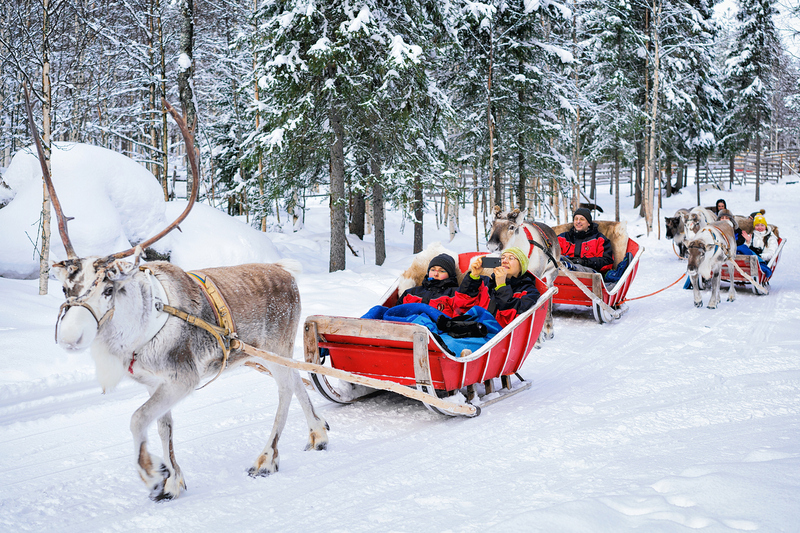 “It’s fitting that Gatwick now offers more flights to Lapland than any other UK airport, as this winter wonderland is the ultimate family destination and Gatwick is widely recognised as the ultimate family airport. The number of Brits travelling to Lapland for a winter escape is rapidly increasing every year and we’re pleased to be responding to that demand. This entry was posted in Airlines, Airports, Flights, Holidays, Travel, Travel Services, Travelers and tagged flights, Gatwick, Lapland, London, Stephen King, Winter. Bookmark the permalink.